This post contains an overwhelmingly amount of yarn adoption: proceed with caution! Seriously though, I am sharing with you my yarn purchases from last week while I was in Cape Cod. On last Wednesday afternoon, we drove around sight seeing and I had in mind to visit one yarn store. To my surprise, I ended up in two yarn stores. The first yarn store was Adventures in Knitting, a lovely store with friendly people. While I shopped, a knitting group or class was in process, oh how I wished I could sit and stay and talk the afternoon away. However, my husband was in the car waiting and I wanted to try and be 'quick'. As if! I bought the Dr Who mini skein and a lovely skein of gray that I'm using in my current project that I will mention later on. 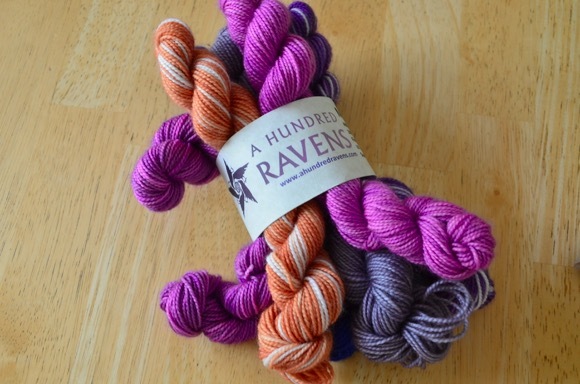 Both yarns are from A Hundred Ravens. I love the twist, colors and the softness of the wool. The second yarn store I visited was in Chatham, MA called A Great Yarn. The people were friendly and the yarn selection was delightful. I walk around back and forth in both stores looking, feeling the wools and trying to decide what I would like to purchase. In this store, I chose Mrs Crosby Loves to Play in a lovely single ply wool, Satchel. I cannot wait to knit with this soft yarn. I also splurged and bought another project bag (shore birds!!). The pouch was made by a J. Carey - sorry no web page. This pouch might be my travel pouch for when I grab and go and need a few essentials but not too many notions. Over the weekend, I started a new knitting project, True Colors. Initially, I wanted to use the Dr. Who mini skein but that wasn't working out to my liking for this project. Can you believe I didn't have enough yarn in stash to 'go' with the Dr Who mini skein? Yes, I need to do more yarn shopping! I chose instead another mini skein kit in stash - Party of Five by Sweet Georgia yarns. 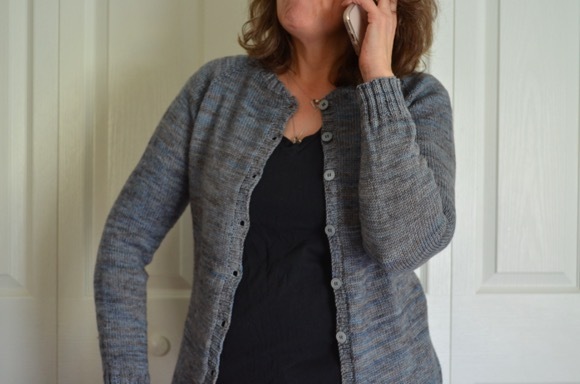 I am using the grey wool I bought in Cape Cod and a malabrigo wool from stash. I do love how they all go together nicely. Oh I LOVE your True Colors! and that mini Dr Who set is going to knit up into something awesome. 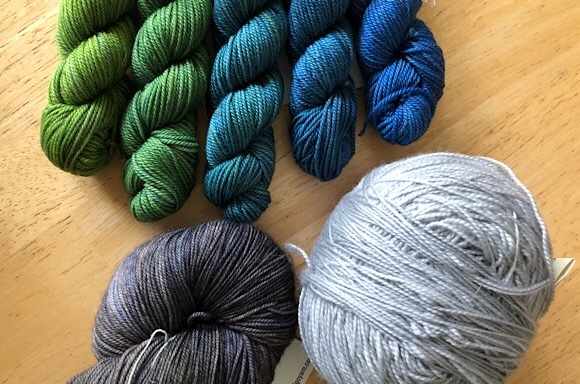 Kristin from the Yarngasm podcast goes to Adventures in Knitting and has talked about it on her podcast a few times. You got lovely yarn there. 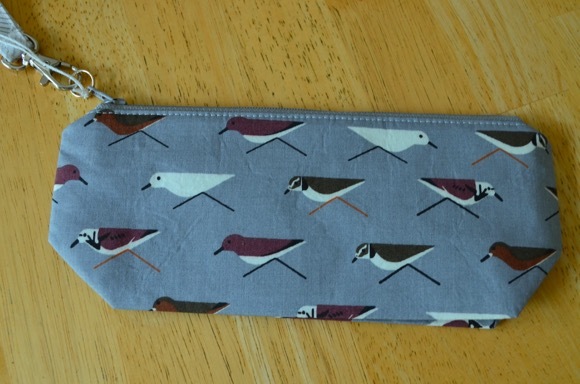 Love the notions pouch with the sandpipers. That's a great souvenir. I'm swooning over all those delicious yarns! 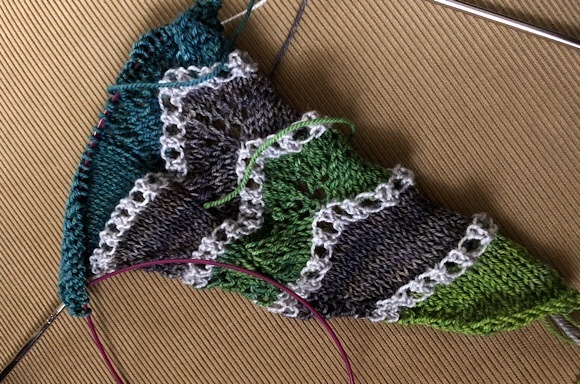 I've just finished my last pair of socks for Christmas gifts (only four sets...) and am now without project... that needs remedying! Looks like a yarny good time! And I know you will use all of it. LOVE all your new yarn - so pretty. The mini skeins are just delicious. And what a great new project/notions pouch you found. So cute. And now you have to shop again! Oh my, that will be gorgeous! Can't wait to see it progress through all the colors. 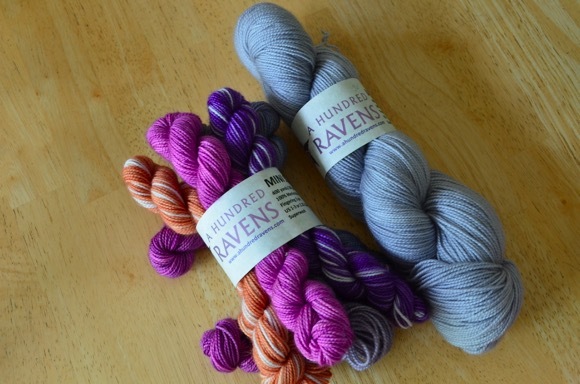 You picked well at these yarn stores b/c they can be used for shawls or color contrast socks. Cute project bag. I'm currently munching on baby carrots and artichoke-jalapeno dip with the teenager. So happy that you found us at Adventures in Knitting! I am fortunate to live on Cape Cod and I teach a drop in class at AIK. In fact, I was part of that group on Wednesday afternoon. A Great Yarn is a terrific store as well, and a friend of mine works there. You made some lovely choices and I hope that you get many hours of pleasure knitting with your treasures. Come visit us again sometime! 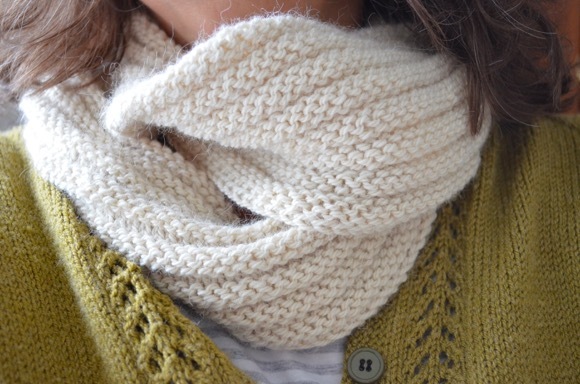 So much yarn-y goodness in this post. 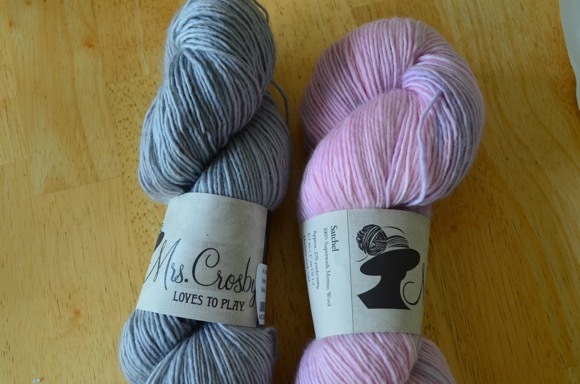 I love the Mrs. Crosby soft colors. 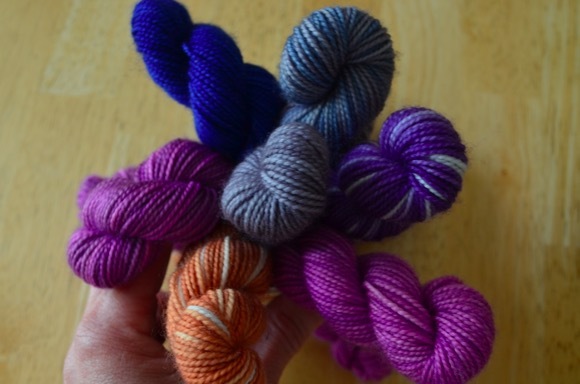 I have looked longingly at the Party of Five Mini-Skein sets. I am glad you have one. Happy knitting. So fun that you were able to visit two yarn shops. I love your bag! and Im a big fan of Mrs. crosby yarns. Great choices. Glad you got to TWO shops!!!! So much enabling! :) Love it! Your True Colors is off to a simply gorgeous start! 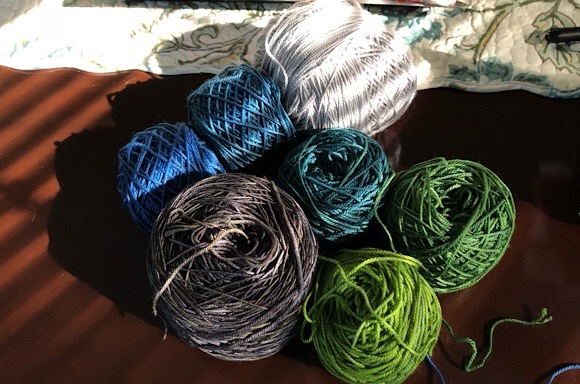 -Jill M.
Good choices on yarn and color! I, too, love the little bag that will hold your tools perfectly and make you smile every time you use it. Good job of shopping! Always so inspiring to pick up new yarns and plan projects with them! Enjoy! I am a sucker for pouches and project bags. I just picked up a new little one on my trip last week that has a fox and ferns on it. I love your little birdy pouch. It's fun when they remind us of places we've been.